Always at the cutting edge and searching for innovation in the world of high-end olive oils, Castillo de Canena has been selected as SOFI finalist thanks to the Oak Smoked Arbequino Oil. The company is striving to create a collection of oils that offer different concepts, different added values and new ways of interpreting and enjoying high-end olive oils. Every eligible product is evaluate and feedback is provided for each one. The judges are top professionals in the specialty food industry and include specialty food retailers, supermarket buyers, natural food merchants , mass marketers, chefs, caterers, journalists and culinary educators. Castillo de Canena Oak smoked Arbequina has been selected as Sofi finalist within the oils category. 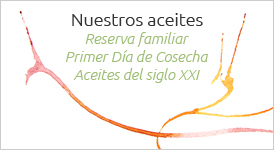 This unveiling coincides with its success in the latest edition of the prestigious Flos Olei guide that has just ratified Castillo de Canena extra virgin olive oils—for the second consecutive year—as the best in the world, with the highest score (98 points), placing them amongst the world’s top twenty. The Oak Smoked Arbequino oil is an arbequino variety olive oil cold-infused with oak and other organic wood smoke. The oil maintains all its essence and quality, preventing alterations in its properties without losing its flavour. “Everything emerges from memory, from the nostalgic search for past sensations.Winter mornings in the countryside, the sunrising over the horizon, frost and ice clinging to the greenery and to the branches of the olive trees… Noble woods, smoke, wheat… Ancestral, flavours and aromas, age-old, fragrant extra virgin olive oils, creating a sublime almost impossible combination. Inspiring memories of those happy childhood days, and of now, waiting for that Oak-Smoked Oil to bring back the magic of those flavours, the elegance of that oil, to all the friends of Castillo de Canena” in words of Rosa Vaño co-owner and Commercial Manager of Castillo de Canena. The final result of this memories leads us to the unique and delicately Oak Smoked Arbequina Olive Oil, that has been chosen as SOFI finalists. Tasting notes discover us a fresh aroma of apple and almond, with a warn touch of caramel, vanilla and toffee. It is ideal oil to drizzle over all kinds of barbecue meat and fish, grilled seafood and vegetables and for sauces. Pasta and pizza as well with mashed or baked potatoes are excellent ways to enjoy it! The blue bottle design referring to a fairy tale: “ Once upon a time there were an arbequina tree…..” is stunning and pop up from the shelves and counters. 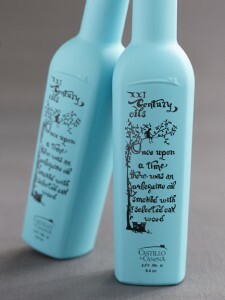 Castillo de Canena is the first company to produce this cold infused oak-smoked oil, “We use only the finest arbequino olives and a special blend of organic noble wood chippings seeking to produce aromatic smokes that infuse the oil with their characteristic caramelised, vanilla and toffee undertones” states Francisco Vañó, Executive Director of Castillo de Canena. Back in 2011, Castillo de Canena won the Gold Sofi Award for the Family Reserve Arbequina as the best product of the world. In 2012, at Los Angeles Awards they have been awarded with three silver medals for the Early Royal EVOO, Family Reserve Picual and Family Reserve Arbequina. 2013, silver medal at the NY Olive Oil Competion for the Family Reserve Arbequino. 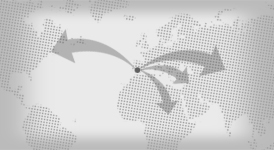 Castillo de Canena Extra Virgin Olive Oils are present in more than 40 countries around the world including USA. With an olive cultivating history that began in 1780, and starting with the tending of their own olive trees—Picual, Arbequina and Royal varietals, the Vañó family personally monitors the entire elaboration process of its extra virgin olive oils until they arrive at their points of sale. The firm, which takes its name from the family-owned castle that crowns the hillside of Canena Township in Jaén province, rigorously respects the environment. This commitment to sustainable development can be seen in the photovoltaic energy units; plant cover over the entire farming area to reduce soil erosion and preserve the autochthonous vegetation; and the utilisation of pruning cut-off biomass and non-polluting environmentally-sound fuel. Currently, the company has a presence in over 40 countries such as United Kingdom, Germany, Russia, US, Japan, China, United Arab Emirates, Mexico and Peru, amongst others, where its extra virgin oils have been awarded with the highest international prizes. The Company is also a member of Grandes Pagos del Olivar, an association uniting the best Spanish extra virgin olive oil producers who choose to produce limited quantities of extremely high quality oils, using methods that combine artisanal characteristics with the implementation of the most cutting-edge technologies.